MD/PhD Admissions: Why Choose Us? Most research experiences will take place at The Feinstein institute for Medical Research (FIMR), which currently ranks in the top 6th percentile of all National Institutes of Health (NIH) grants awarded to research centers. Its researchers regularly publish in major peer-reviewed journals such as The New England Journal of Medicine, Proceedings of the National Academy of Science, Nature and others. The Feinstein Institute has produced more than 200 patents in 80 distinct technologies and has generated a dozen successful biotech start-ups and has numerous state-of-the-art core facilities. 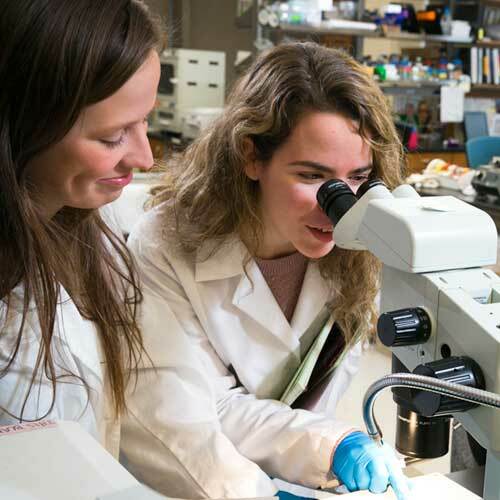 In addition, the Zucker School of Medicine's recent collaboration with the Cold Spring Harbor Laboratory extends unlimited opportunities for students to conduct basic and translational investigations in areas such as immunology, neuroscience, cancer biology, genetics and genomes. MD: A superior medical education awaits future physicians who enroll in Donald and Barbara Zucker School of Medicine at Hofstra/Northwell. Our program offers an innovative, highly interactive and participatory curriculum with emphasis on small group, case-based learning. 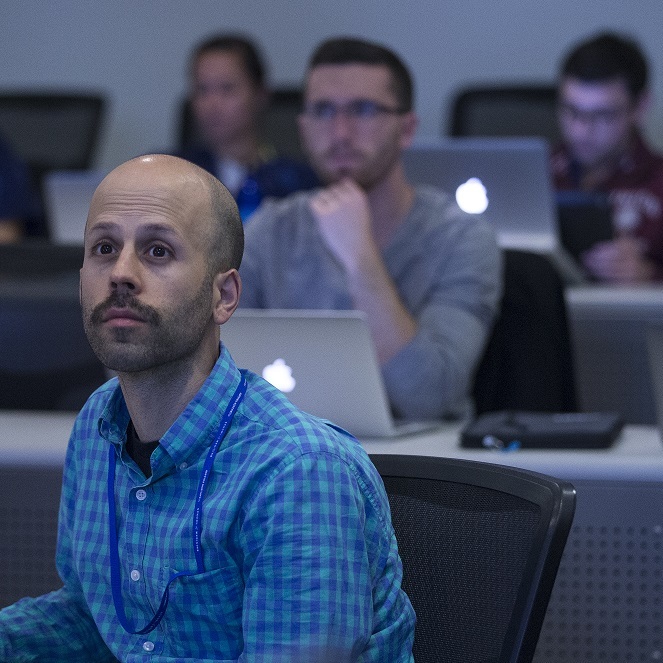 The Zucker School of Medicine presents information thematically by analyzing the human body's systems and the diseases and conditions that affect it so that you learn scientific concepts in context and relate them directly, through practice, to health, disease and illness. PhD: We have established a lean core curriculum that provides each trainee with a scientific toolbox for cutting-edge discovery. Numerous elective courses are available. Each trainee, together with his/her mentor and advisory committee, designs a program to provide the scientific foundation needed by the student. The primary goals of the program are to develop creative and rigorous thinkers in the biomedical arena. Students will rotate through at least two laboratories before deciding where to perform thesis research. Hofstra University and Northwell Health are partners in the establishment and operation of the Donald and Barbara Zucker School of Medicine at Hofstra/Northwell. 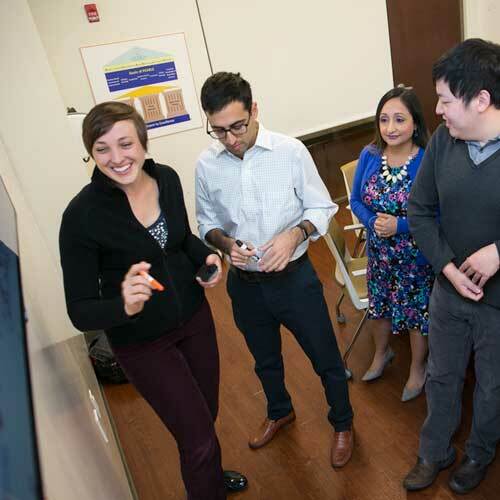 The Zucker School of Medicine is built upon the strong clinical and graduate medical education programs of Northwell Health and the robust research and academic programs of Hofstra University and the Feinstein Institute for Medical Research at Northwell Health. Nearly 15,000 Physicians, including over 3,100+ members of Northwell Health Physician partners. 2 million patients treated annually. Over 4.3 million patient encounters and 42,000 births. Northwell Health is the nation's 14th largest healthcare organization. You will train in many of these hospitals, including Katz Women's Hospital, Cohen's Children's Medical Center and Zucker Hillside Hospital. You will have the opportunity to utilize Northwell Health's Center for Learning and Innovation, the Patient Safety Institute and the Bioskills Education Center. These training facilities include the latest operative technologies, human simulation/robotic laboratories and high-tech research space. In addition, during the first nine weeks of the curriculum, you will train as certified emergency medical technicians and work shifts on Northwell Health ambulances, responding to 911 calls. 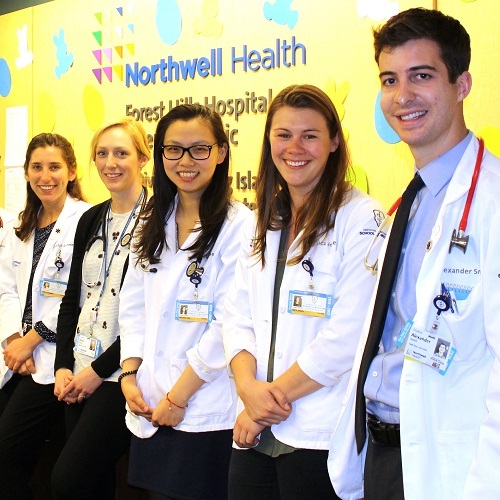 Donald and Barbara Zucker School of Medicine at Hofstra/Northwell graduates have successfully matched into highly competitive residency programs across the country in a wide variety of specialty areas. 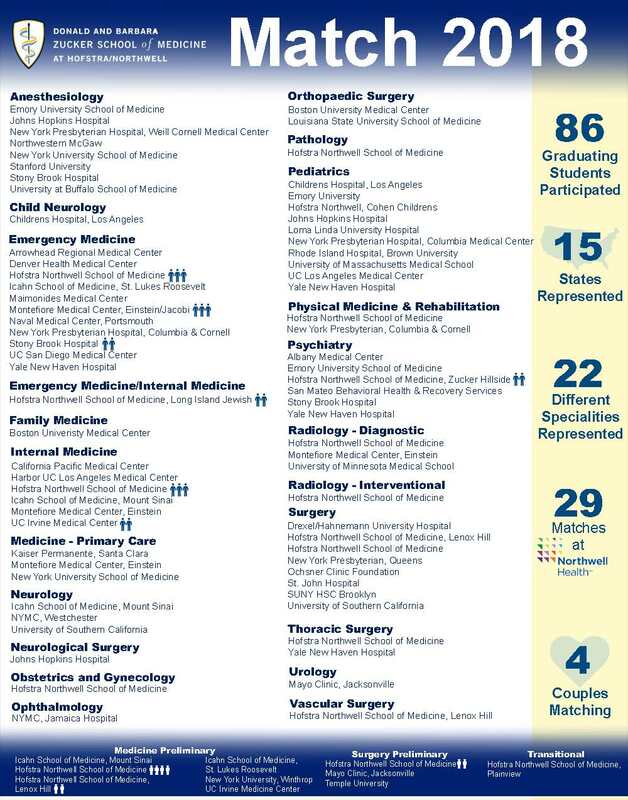 The faculty of the Donald and Barbara Zucker School of Medicine at Hofstra/Northwell consists of more than 2,700 nationally and internationally recognized medical educators, clinicians, and scientists who represent a vast number of diverse specialties and wide range of interests. They are leaders in clinical skills education as well as research and are engaged in a variety of community service endeavors. Many of our faculty members serve on numerous editorial boards and national study sections. 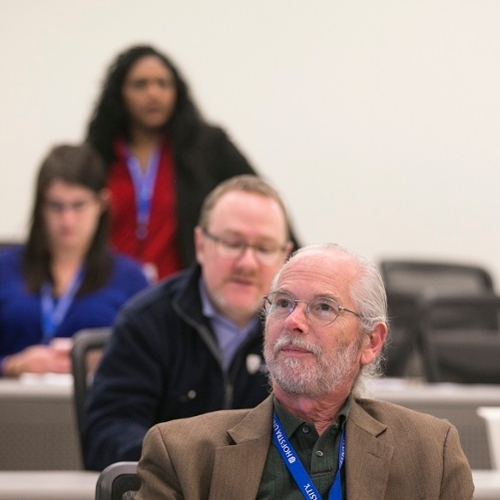 We have a burgeoning Alpha Omega Alpha Honor Medical Society chapter with over 300 members, and recently established an Academy of Medical Educators. Additionally, members of our faculty are regularly featured in the media as experts in the medical field and contribute to many publications. The faculty open-door policy creates an accessible and collegial environment that reflects professors' engagement with their students. At Donald and Barbara Zucker School of Medicine at Hofstra/Northwell we are committed to educating future physicians to embrace responsibility for the health of their communities, and to be activists who advocate at the local, regional, and national level for the best care for patients and their community. Students from all four classes run the Free Clinic located in Queens, NY, one of the most ethnically diverse urban counties in the country. This clinic serves uninsured patients in need. 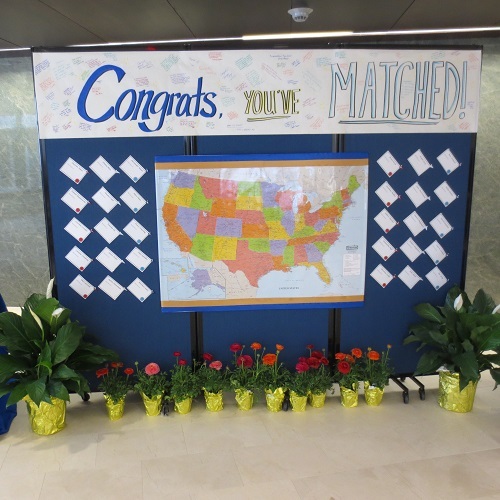 If you choose to participate, you will be guided on site by Zucker School of Medicine faculty-physician volunteers. In addition, you will have the opportunity take part in a wide variety of community outreach programs including, but not limited to, the Gold Foundation’s Solidarity Day for Compassionate Care, a holiday toy drive, the Go Red for Women’s Heart Health Month, and St. Baldrick’s Day fundraising for childhood cancer research. Comfortable and attractive, graduate student on-campus housing is offered with ample parking available, as well as multiple dining, recreation, and entertainment options. There's an array of convenient dining halls and eateries, including the Zucker School of Medicine's onsite café. 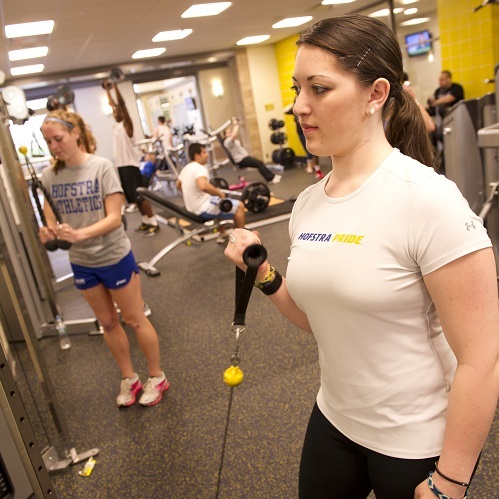 On campus, there are ultramodern fitness and athletic facilities, including an indoor Olympic-sized pool, gymnasium, and the state-of-the-art David S. Mack Fitness Center. Students also enjoy outstanding entertainment such as concerts, theater at the John Cranford Adams Playhouse, films, lectures, sporting events, and Hofstra University's art museum. Hofstra University's beautiful 240-acre campus is a nationally recognized arboretum with over 12,000 evergreen and deciduous trees, and thousands of tulips in bloom each spring to inspire and motivate our students. 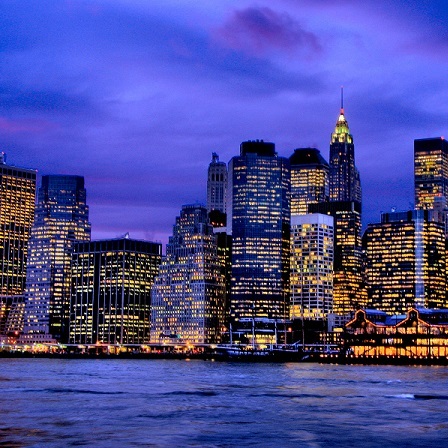 Located in western Long Island, NY, the Zucker School of Medicine is just 25 miles from the excitement of Manhattan and is easily accessible by car or the Long Island Railroad. Long Island is home to a plethora of attractions from world-famous Jones Beach and Long Beach, to the renowned Hamptons of the East End. There are numerous shopping and restaurants options, as well as parks, golf courses, museums, and several sporting arenas that make the medical school's location ideal for a healthy, active and cultural experience. A few of the local highlights include the Roosevelt Field Mall, the well-known Bethpage State Park Golf Courses, and the new Nassau Veterans Memorial Coliseum. To find out more, click here.